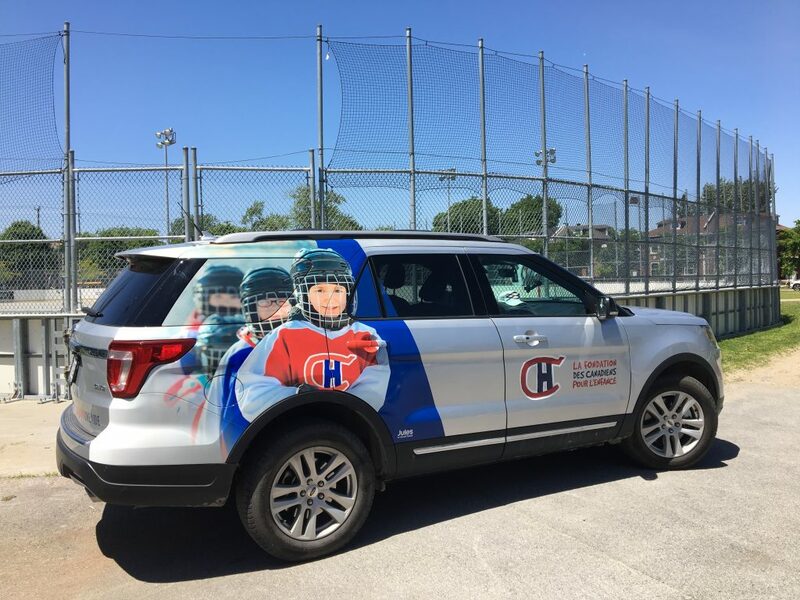 In order to continue the deployment of our BLEU BLANC BOUGE program and to carry out fundraising activities such as the 50/50 lottery at the Formula 1 Grand Prix of Canada, Ford Québec has offered us a Ford Explorer XLT 2018 for the next two years. Jules Communications has graciously offered to do the lettering on it. Thanks to their quality work, we will be able to promote the cause we are defending. Keep an eye out, you might see it on the road!